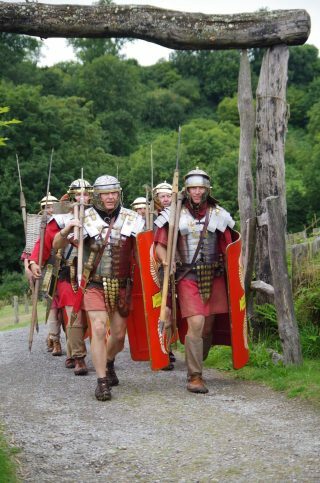 We are a group with a common interest in Ancient Rome and since the early 1990's, we have been researching, recreating and presenting the everyday activities of both soldiers and civilians living under the influence and rule of the Roman Empire in Britain. 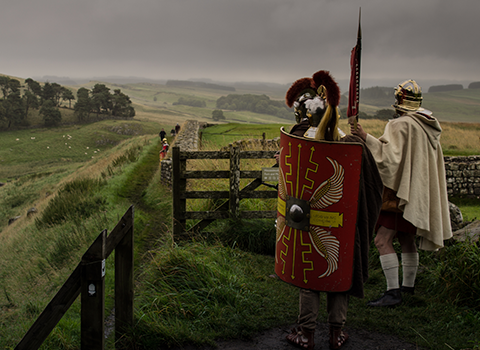 from the Roman invasion of Britain in 43AD to the early second century, providing Roman Living History demonstrations for various clients. 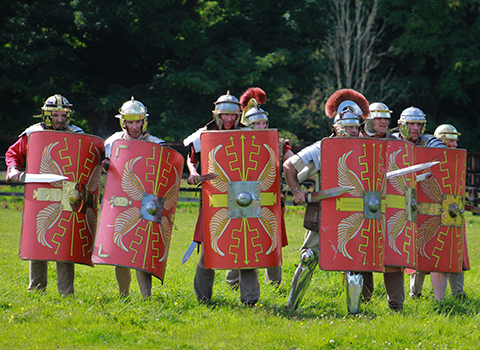 Our displays range from battle drill and formation training in the field to a soldiers life in the camp carrying out duties, chores and past times; as well as interacting with civilians and merchants that allowed the Roman military machine to operate. 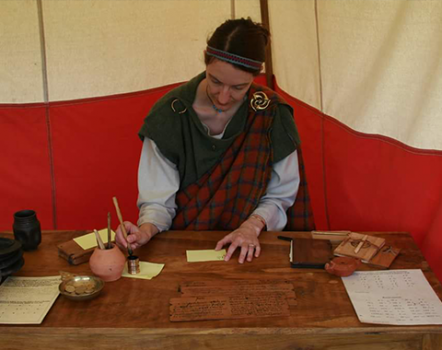 We pride ourselves by presenting as authentic and accurate equipment and clothing as possible, producing the bulk of the equipment ourselves, being self-sufficient as the legions, traders and civilians would have been 2000 years ago. We welcome anyone who has an interest in Ancient Rome who wishes to get involved on either the military or civilian side. It can be an expensive interest to get into, but we can provide you with the necessary clothes and equipment to partake on the day, and as you acquire your own equipment over time, this equipment can be made available again to other new potential members. If your interest develops further, you may wish to develop a particular part of a display, we can also help you research and build or source the necessary items and equipment the will help develop your display. 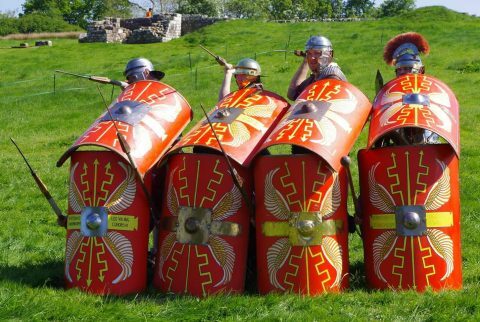 All orders and manoeuvres on the field display are given in Latin, but before you panic at the language barrier, we will teach you the commands to perform famous formations such as the Wedge and Tortoise and become part of the greatest and most efficient fighting military machine of the ancient world. If you are up to it, and meet the Centurions approval, you can also join our 'Scorpion' crews and learn to safely operate our authentic Roman torsion artillery or use a recurved Roman archery bow. 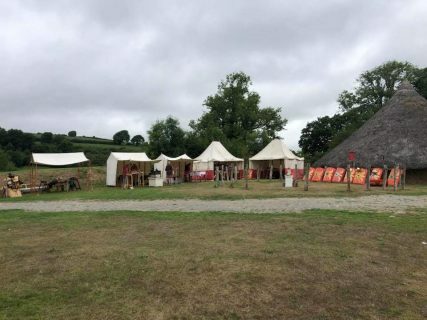 The Living History encampment has a range of different displays which we use as a backdrop to explain various aspects of Roman life, including craft demonstrations and general displays of objects which we explain and demonstrate to visitors. Have your own Roman Sestertius Coin stamped. Have your name written in Roman writing. Watch how the cook prepares and cooks the legionaries lunch. 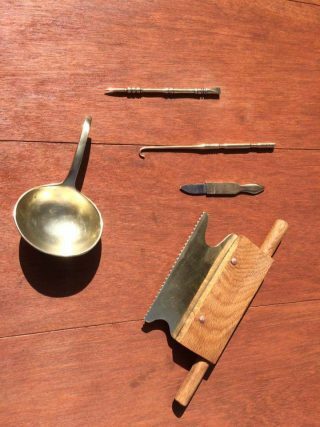 Speak to our Medicus about the medicine and surgical tools used. Find out where you are on Roman campaign maps and how the Romans mapped and surveyed the Empire with our surveyor. See the latest fashionable shoes produced by our shoemaker. Listen to the soldiers explain about the weapons and equipment, including the 'Scorpion' torsion weapon at the armoury. 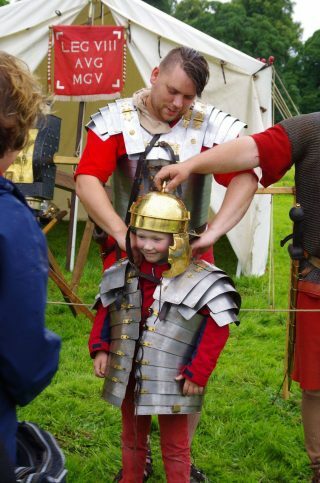 Try on the armour of a legionary and see if you want to join the legions. Watch heddle or tablet weaving and see wool spinning. Discover from our merchant where a lot of the products desired by the Romans came from. We have many displays which our members are happy to explain and show to you. We research and reconstruct a wide variety of Roman artefacts, including armour, shoes, clothing, and weapons to try to understand how they were made and used. Only by reconstructing items and using them can we see whether they wear out in the same way as the original items, which in turn helps us to improve the accuracy of what we make. We encourage all members to get involved in this process as it’s the best way to learn and understand how things were made and used. 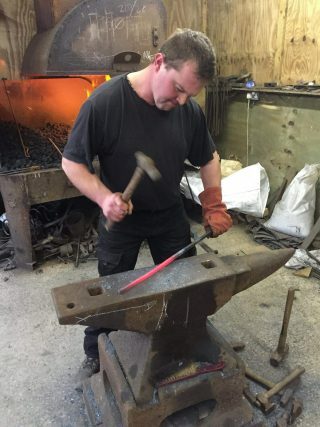 Our “Training & Making” Weekends and sessions are an opportunity to learn how to make items, and to learn how to take part in the public performance aspect of what we do. This can involve learning craft skills for demonstration, or drill and battle manoeuvres for arena performances. 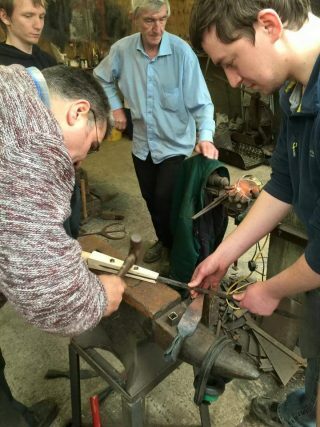 We are constantly looking for new things to add to our range of demonstrations and welcome ideas from new and existing members.